Digital fluorescein angiography is a medical imaging procedure that enables us to examine the blood circulation of the retina, choroid and optic nerve, using a fluorescent dye. Images with and without the dye are put on top of each other, and everything that has not changed after the application of the dye is removed during a computer analysis. Digital fluorescein angiography can help detect several disorders of the anterior segment of the eye. When is digital fluorescein angiography indicated? 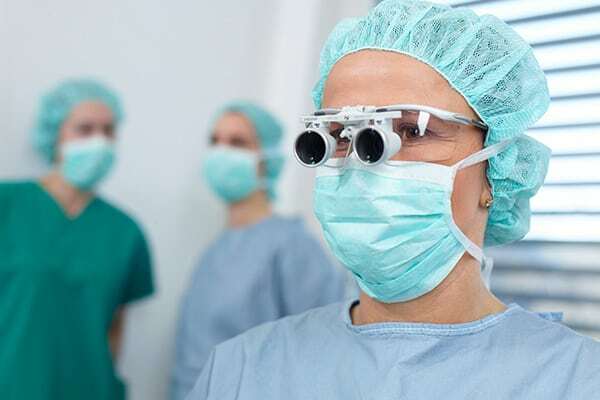 Digital fluorescein angiography is used to examine disorders of the area of sharpest vision like age-related macular degeneration, diabetic retinopathy, vascular obstructions, etc. How is digital fluorescein angiography performed? Digital fluorescein angiography is divided into three phases. The anterior segment of the eye is photographed with a digital camera (color photograph) under normal light conditions. In order to improve the contrast between blood vessels and the surrounding retina, additional photographs are taken with a green filter and light without the red range of wavelengths. A fluorescent dye is injected into the vein of the arm or hand. After the injection, the distribution of the dye is photographed in the anterior segment of the eye at predetermined periods of time. This enables us to evaluate pathological changes. The differences between digital fluorescein angiography and conventional angiography are the advantages of digital fluorescein angiography: It shows blood vessels more clearly and the amount of dye can be reduced. Because digital fluorescein angiography only uses a dye and no contrast agent, it can also be undergone when suffering from chronic kidney disease. The Heidelberg Retina Tomograph (HRT, also sometimes called Heidelberg retinal tomography) measures the optic disc (optic nerve head) and creates three-dimensional images by using an exact, harmless and painless diode laser. There are no know contraindication, i.e., reasons against undergoing the examination. When is an examination with the Heidelberg Retina Tomograph (HRT) indicated? An examination with the Heidelberg Retina Tomograph (HRT) is carried out to diagnose glaucoma and to investigate its development. How does the Heidelberg Retina Tomograph (HRT) work? The Heidelberg Retina Tomograph (HRT) examines the surface of the optic disc (optic nerve head) with a laser without causing any pain. The collected data is processed by a computer. The computer calculates parameters and images that help diagnose glaucoma and its development. The HRT database contains images of normal and pathologically changed eyes. By comparing the current images with images of the database, the Heidelberg Retina Tomograph is able to determine the probability of whether the optic disc (optic nerve head) has been altered by glaucoma. This makes examining glaucoma development more precise than checking the eye with a magnifying glass. The spectral domain optical coherence tomography (SD-OCT) makes it possible to examine the retina and the optic disc (optic nerve head). It measures several different wavelengths at the same time. The light reflecting from different retinal layers is used to create high-definition, two- and three-dimensional images. Optical coherence tomography (OCT) gives us a three-dimensional, realistic depiction of retina and macula, the area of sharpest vision. 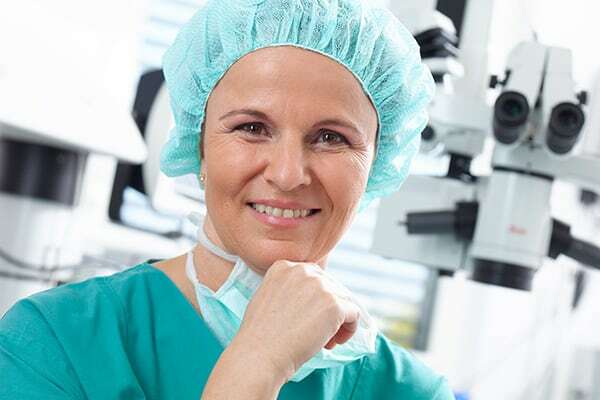 Thus, we receive important data about the retina and probable damage of vitreous humor, optic nerve, retina and surrounding tissue like retinal pigment epithelium and choroid in a resolution similar to that of microscopes. There are no known contraindications, i.e., reasons against undergoing the examination. When is optical coherence tomography (OCT) indicated? How is optical coherence tomography (OCT) carried out? Spectral domain optical coherence tomography (SD-OCT) is done without touching the eye. It is painless, and it takes only a few minutes. This medical imaging procedure is like an ultrasound examination—but with superior high-resolution images. The digital images make exact diagnostics and follow-up examinations possible. The recent spectral domain optical coherence tomography (SD-OCT) is based on a significantly faster, non-mechanical technology. The higher speed and amount of scans result in a higher resolution and, therefore, increase the chances of detecting a disease or a disorder at an early stage.